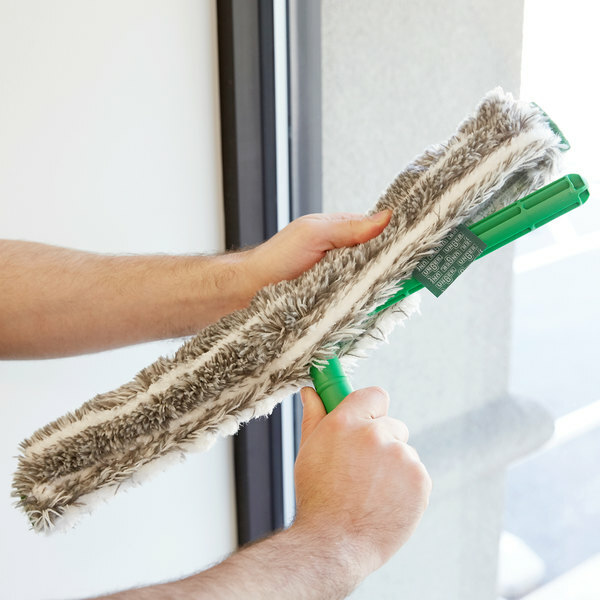 Keep your windows and other glass surfaces sparkling and clean with the Unger NJ450 ErgoTec Ninja 18" strip washer sleeve! 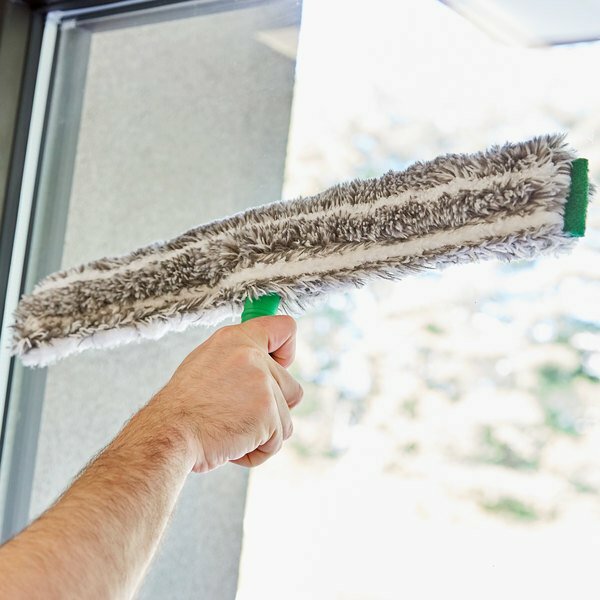 This durable window washing sleeve is constructed of microfiber and extra-long scrubbing bristles to thoroughly clean surfaces, while two abrasive scrubbing pads provide extra power when tackling tough residue. Plus, each sleeve is machine washable and reusable up to 500 times! 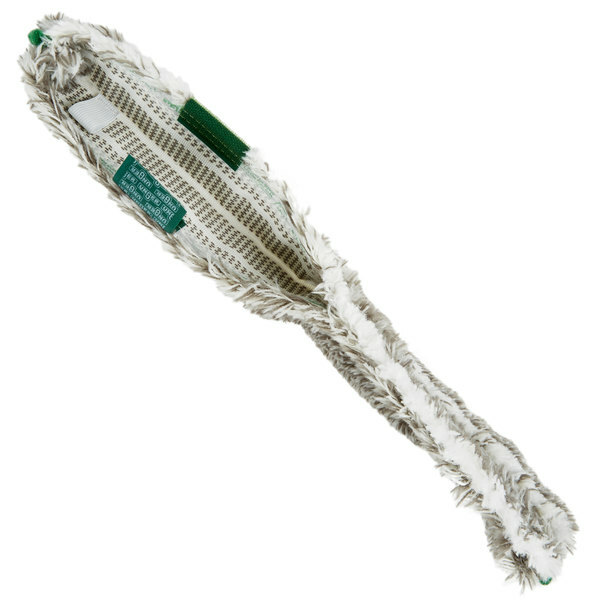 This sleeve is compatible with the Unger NI450 ErgoTec Ninja T-Bar handle (sold separately). Tools with a hole in the handle and “lock” inscribed on it lock into the ErgoTec Locking Cone. Poles with this symbol can fit any Unger attachment that also has this symbol. Unger attachments with this symbol will fit any Unger pole with this symbol. This item may be laundered in a commercial washing machine. This seems to be a really good sleeve. And although it impressed me, I didn't see much difference in this vs the monsoon ones i have been using for years.. I love the fact it has two scratch pads on them, but the microfiber sleeve it self doesn't seem to scrub MORE product off. But i still love the color! Sir Clean like this product Unger NJ450 ErgoTec Ninja 18" Strip Washer Sleeve, the price and quality are good, you can use to clean glasses. 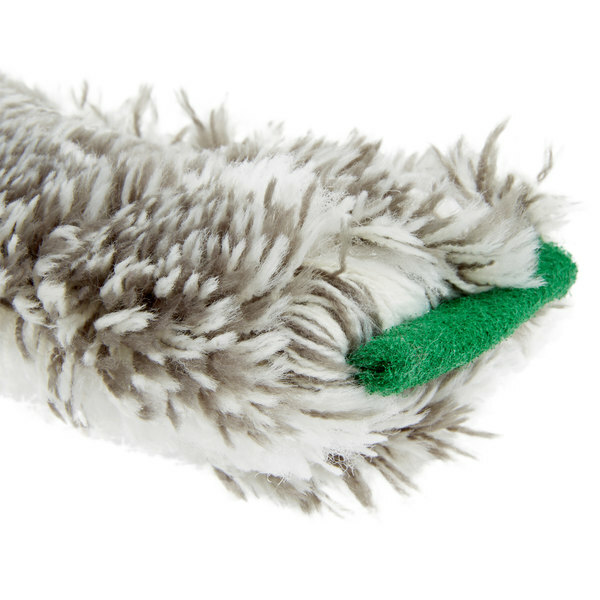 this 18 inch mop sleeve is one of my favorite. 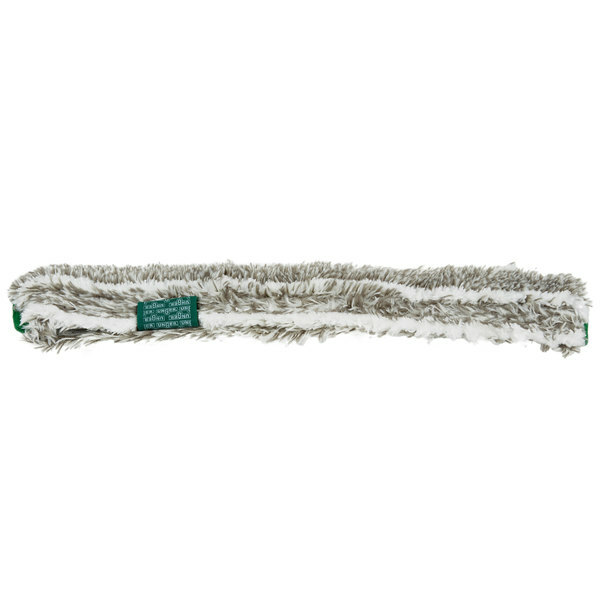 These mops stand the test of time, and it seems to stay cleaner between windows longer then other mops.